Royal Enfield has launched the Classic 350 Redditch ABS at a price of Rs 1.52 lakh (ex-showroom Delhi). Equipped with a dual-channel ABS system, it is priced at a premium of Rs 6,000 over the standard bike. 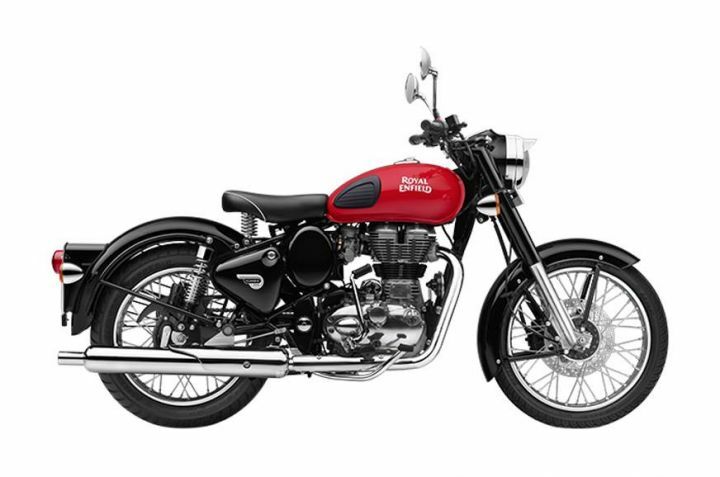 This makes it the most affordable ABS-equipped Royal Enfield on sale today. Dealers in Pune and Mumbai have confirmed that the bikes will be out for deliveries starting January 2019. The company has been equipping all its motorcycle with the safety net of ABS in a phased manner. With almost most of its portfolio getting ABS over the last few months, it’s only the standard Classic 350 series and the Bullet series that are left to receive the update. According to the latest regulations, all bikes over 125cc must be equipped with ABS from April 2019. Other than the inclusion of ABS, the bike remains largely unchanged. It continues to house the same 346cc, single-cylinder, air-cooled engine as before. This unit produces 20PS of power and 28Nm of torque. The Redditch edition pays homage to the bikes built in the 50s at the company's factory Redditch, UK. The classic red, green and blue paint options help it stand out from the standard model. At this price, it now competes against the newly launched Jawa and the Jawa Forty Two, both of which were also recently updated with a dual-channel ABS. We recently had the chance to take the two new Jawa motorcycle for a spin. To know our thoughts, head here. Share your experiences with Classic 350? Confused about Royal Enfield Classic 350?